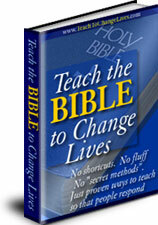 Bible English Lessons Are a Great Addition to Your Homeschool Curriculum! All Christian homeschool parents are interested in both improving their children’s education, as well as giving them a foundation in God’s Word. Our Bible English lessons for children are a great addition to your christian homeschooling curriculum, as they are designed to accomplish both of these goals. These Bible study lessons for children are geared toward a 3rd through 6th grade education level. They are also great for family Bible devotionals. These short lessons are written in easily understandable English and include vocabulary lessons, grammar and comprehension for each lesson. You can easily download and print each lesson from our website and use as many times as you like as an alternative to your Christian homeschooling books. Lessons can be used each year with another child and printed over and over again for one price. Easy and convenient to use they make a great addition to your homeschool curriculum.